Madeira Islands, Lesotho, South Africa, New Zealand, Australia, France, Portugal, Spain, Georgia, Arizona, California. Areas in the Madeira Islands, South Africa, Australia, France, Portugal, Spain, Arizona match California. Naturalized in 12 counties in California. A problem in citrus groves in California. In California, it is on the state noxious weed list due to its impacts in citrus groves, where it grows over trees and competes with them for water, nutrients, and light. It is on the noxious weed list of New South Wales, Australia, as a "locally controlled weed." In California, it is on the state noxious weed list due to its impacts in citrus groves, where it grows over trees and competes with them for water, nutrients, and light. Grows in orchards, landscaped areas, gardens, and disturbed sites. It has been reported from riparian areas on the Santa Barbara coast and Santa Cruz Island, CA. It is on the noxious weed list of New South Wales, Australia, as a "locally controlled weed." This is the only species in the genus listed in the Global Compendium of Weeds. The plants grow very fast and can cover a tree canopy of an orange grove in a couple of years. Individual branches can be killed by girdling vines. These impacts are from agricultural areas; I do not have information on similar impacts in natural areas. No evidence for this impact so defaulting to no. Foliage and to a lessor extent the fruits contain compounds that can cause nonfatal digest tract irritation and neurological problems if ingested in sufficient quantities. However, toxicity has not been reported in North America. Plant sap also contains an enzyme that can dissolve skin and create sores. Thick vines growing over trees seem to have the potential to create thickets. Under certain conditions, can reproduce vegetatively when severed pieces of underground stems or crowns can produce new roots and shoots. 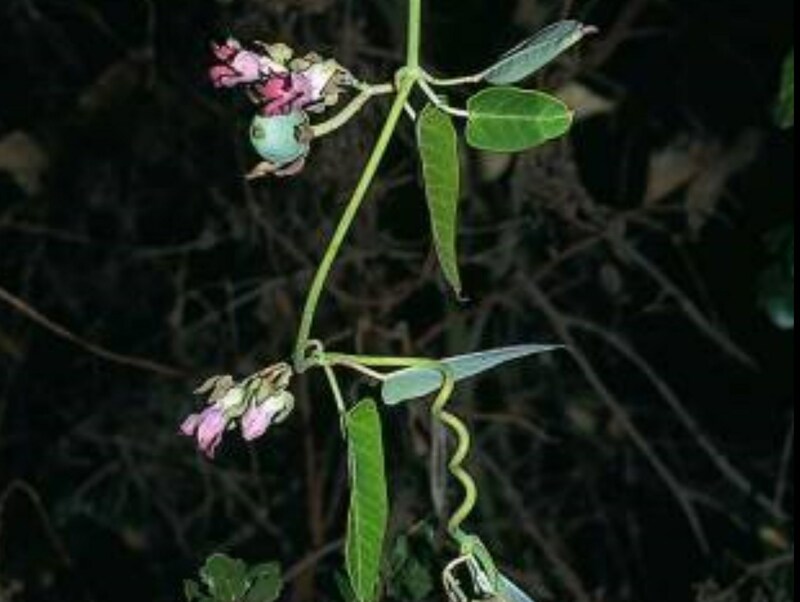 Produces pods with numerous seeds. Seed production is prolific (except in areas where temperatures drop below freezing in early fall) and seed production can be around 90%. A photo of a seed pod shows hundreds of seeds. Seeds germinate in the spring and may produce a 20-30 ft vine the first year. Plants usually produce seed in the first year. Flowers August to October in California. This is not more than three months. Seed does not have obvious adaptation for animal spread and wind is the only dispersal mechanism mentioned in Weeds of California. Seeds are small and are dispersed by wind. Seed does not have obvious adaptation for this type of spread and wind is the only dispersal mechanism mentioned in Weeds of California.